I'm so excited to have Gray from Erin Bowman's (amazing and painful) series Taken and the upcoming Frozen here today! These are some of my favorite books, and I mostly want to kidnap Gray, wrap him in bubble wrap, and hide him from Erin for all the things she puts him through. And if you thought Taken had some punches, wait till you read Frozen. Because. Wow. And ouch. I'm pretty stubborn. And impulsive. A good shot with a bow and a loyal brother. Oh, look, I've already failed and gone over. But come on, four words? How can anyone be summed up in four words? Losing my brother. I know I act like he's a pain--always playing the parent between us, nagging me left and right--but he's my second half. When he was Heisted, it was like I misplaced a piece of myself, like I was slowly coming undone. Then I got him back and realized I never wanted to go through that again. I don't know how to be without Blaine. I'm lost without him. So.. you've found yourself in a bit of a tight spot caught between Bree and Emma. I'm going to keep my (very strong) feelings to myself, but what's the hardest thing for you in having a connection to each of them? This is one of those questions where I'm going to sit here smiling and pretending you didn't ask me something so personal, and you're going to move on to the next topic without batting an eye. Considering the title of book 2 is Frozen, what's worse for you: Freezing, or being too hot? Heat's not so bad. It usually lets up when the sun goes down, and on a really sweltering day you can always ditch layers. But extreme cold? There is nothing worse than being unable to get warm, shivering no matter how much clothing you pull on. When you can't feel your toes and a deep breath burns like fire, hibernating animals start looking a lot smarter than humans. Are you glad Emma followed you over the Wall, after all that happened afterwards, or do you think she would've been better off to stay? She definitely would have been safer if she stayed behind. But that's not what you're asking, is it? Here's the thing--It doesn't matter what I think now. Emma followed me because she wanted answers, and now she has them. Now she sees that staying in Claysoot would be the same as living in a locked cell. It's a prison, that place we called home. I'm glad she's out, even after everything. I'm going to get them all out. I was twelve. Rosie Santersen dared me to shoot one of Blaine's arrows over the Wall. I told her no, he'd be furious. Then she said she'd kiss me if I did it. So I went and fetched my bow. Blaine was furious. He had me make five new arrows to replace the lost one, but it was worth it. Like, boxes and crates? Debriefing sessions during a meeting? I don't know what you're asking me. Finally, I have to ask. If you could get back at Erin for all the torture she is putting you through, what would be the first thing you do? I think I'll hold off on saying anything just yet. Maybe Erin has a happy--or even semi-happy--ending in store for me. I'd hate to give her a reason to upend that. And for those of you who have read the first book and are as eager for the next one as I was, I've got an ARC of Frozen up for grabs to one lucky winner! This is US Only, and just fill out the Rafflecopter below to enter! My favorite thing about Taken? That's tough, but I really love that it wasn't at all what I thought it would be. I loved the whole premise behind Taken, the idea that an entire town functioning with just young people? Unheard of, but they did it? And the end kind of shocked me, so I'm really excited to read the second one! I haven't read Taken yet. I tend to wait till I have at least the first two books in hand before starting a series. So hopefully soon! I haven't read it either, but it sounds like an amazing book! 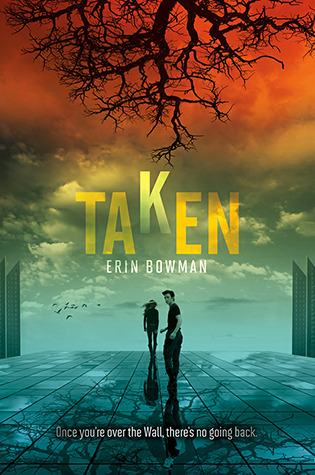 What I enjoyed most about Taken is that it was enjoyable to read a YA book from a male POV and it had an interesting, engaging plot. 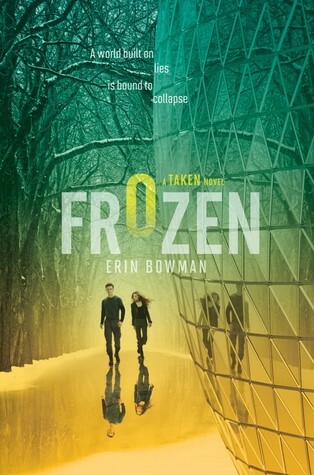 Erin bowman is doing a giveaway for an arch copy of frozen and i entered for it!! and now this.... i just hope i win!! at least i need to get Frozen on my hands DESPERATELY :'( !!!! Taken is the most beautiful book ever!!! At some point it keeps u on the edge of ur seat !!!!! I can just describe Taken in few words: It's a Venus fly trap !!!!!!!! I know I'm gonna win I just feel it !!!! Please I LOVVVEEEE Taken and I need Frozen ASAP !!!!!!!!! AGGHHHH 4 days left !!!! Can't wait :D!!!! !